In addition to an Amiga 1200 used as Web server, I have the chance to have another Amiga 1200 at home to edit this Wiki! Some wire and, of course, a soldering iron! 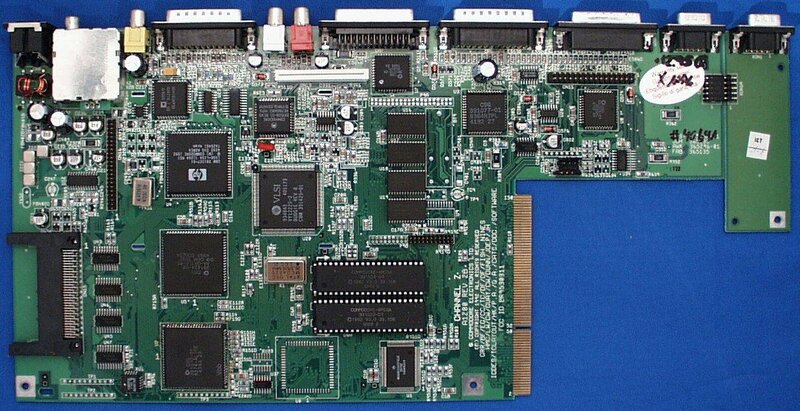 It is simpler with a A1200 motherboard revision 1D4 or 2B because there are shorter (when removing the extra panel for the 2B) and easier to connect. Fitting them all together into the Evo X500 case requires some handy work... And below, after some patience and work, are the two first photos of the fitting!